"A quintessential summer read." -Marie Claire A warm and wonderfully vivid novel about taking second chances-in life and in the sea One summer day on the beach in Florida, two extraordinary things happen to Maeve Donnelly. First, she is kissed by Daniel, the boy of her dreams. Then, she is bitten by a blacktip shark. 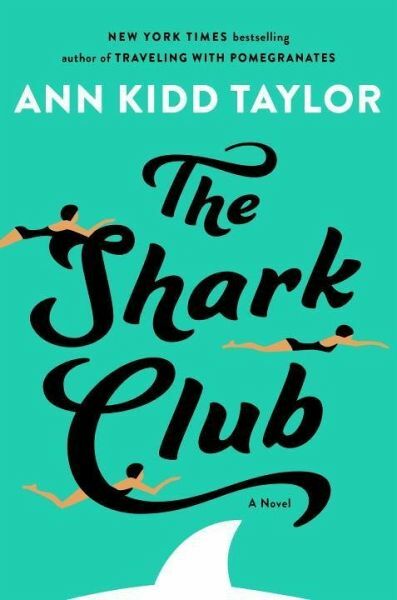 Eighteen years later, Maeve has thrown herself into her work as a world-traveling marine biologist discovering more about the minds of misunderstood sharks. But when Maeve returns home to the legendarily charming and eccentric Hotel of the Muses where she was raised by her grandmother, she finds more than just the blood orange sunsets and key lime pies she's missed waiting for her. While Maeve has always been fearless in the water, on land she is indecisive. A chance meeting on the beach with a plucky, irresistible little girl who is just as fascinated by the ocean as Maeve was growing up leaves her at a crossroads: Should she re-kindle her romance with Daniel, the first love she left behind when she dove into her work? Or indulge in a new romance with her colleague, Nicholas, who turns up in her hometown to investigate an illegal shark-finning operation? Set against the intoxicating backdrop of palm trees, calypso bands, and perfect ocean views, The Shark Club is a story of the mysterious passions of one woman's life: her first love and new love; the sea and sharks that inhabit it. Ann Kidd Taylor is the coauthor of the New York Times bestselling memoir Traveling with Pomegranates. She lives in North Carolina with her husband and son.